It’s already light until after 6pm here in France, and it feels quite “springy” suddenly. 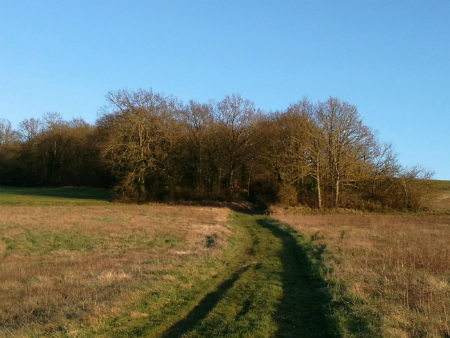 I took this sunny photo at 5.30pm last night whilst walking in the Forêt d’Othe near our village of Véron. 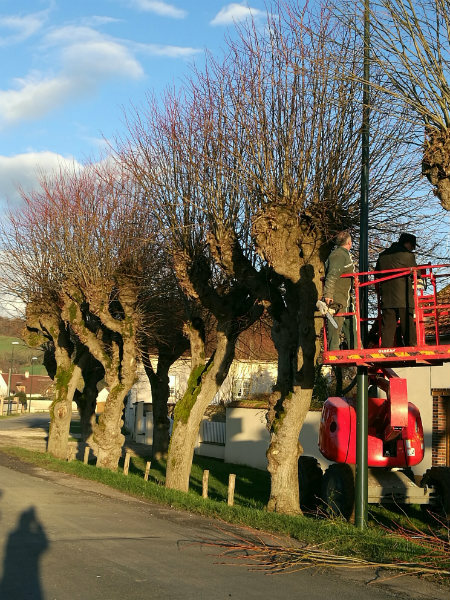 The Mayor’s team are already out pollarding the plane trees that line the road to our depot – just as well as it’s much easier for novice campervan drivers to navigate past heavily pruned trees than free range ones! Here are the before and after photos of the pollarding – they look pretty naked once done, but will soon offer a dense, green canopy for the rest of the year. 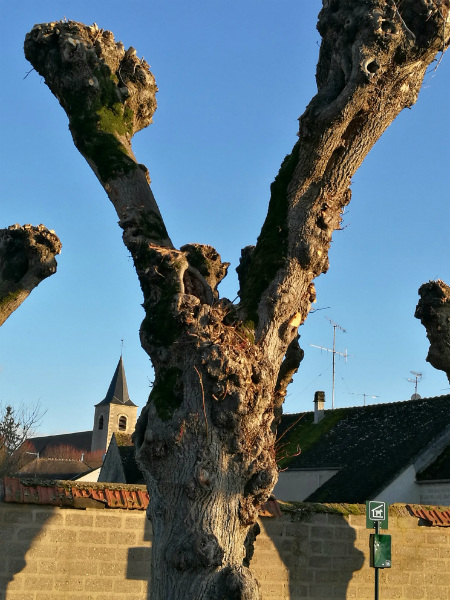 Naked plane trees after pollarding but they will be leafy and green again soon! 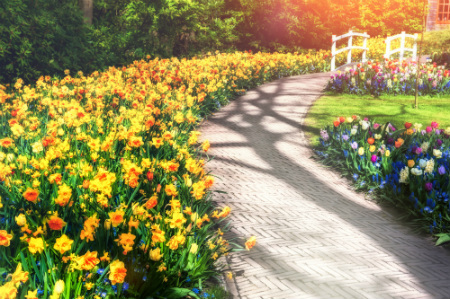 It won’t be long before blossoms appear in the trees and the roads are lined with enchanting spring flowers. 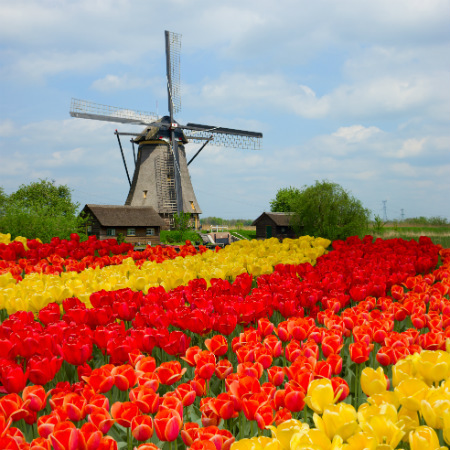 Whether you plan to drive past chateaux in France flanked by daffodils or past windmills in Holland surrounded by tulips, March and April is a great time for a motorhome trip and we still have some vehicles available for this spring. Our current special offer is valid for new bookings on any of the dates above, so your trip will start with three bottles of Burgundy wine on us if you book now. Join us as the spring flowers come out on parade, the chocolatiers fill their windows with Easter creations and the sun comes out. It’s a great time of the year for an RV trip, our prices remain the lowest of the year and there is even a special offer! ← Are you considering a long European motorhome trip this year?